Everyone likes to look good. Whether you are a top-paid model spending 80 hours per week on your looks or a mom of seven who has never owned a lipstick, we all want to look and feel our best. And we pay dearly for the things we want. The beauty industry is well versed in how to play on people’s dreams and fears in order to make a buck. An ad may ostensibly be about blush, but what they really hope to evoke is thoughts like: Am I pretty enough? What would my life be like if I looked like her? Can this product make me happy? 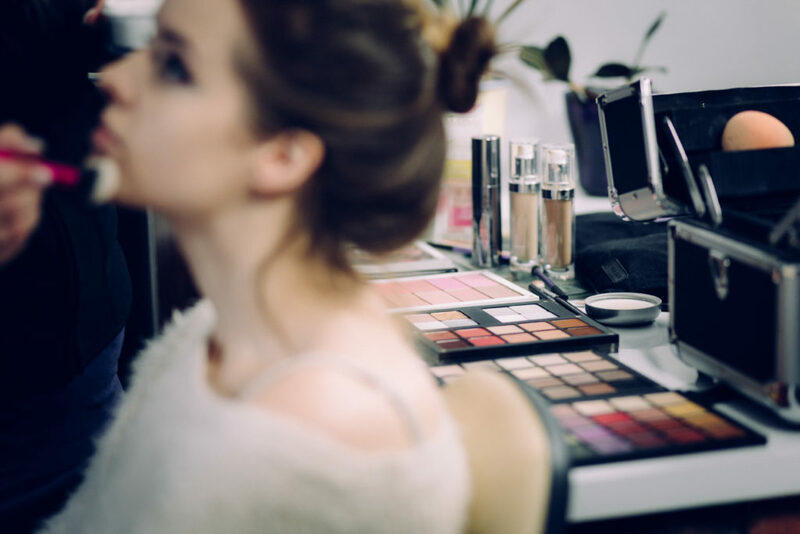 The entire beauty industry is worth an astounding $382 billion globally. And we are handing them our money as fast as we can in the hopes of looking like the hopelessly unrealistic, and in fact totally faked, models we see all over magazines, TV, and billboards. Connecticut and New York actually tie for the most expense per person on makeup, with an average of $11 per day over a lady’s lifetime. ELEVEN DOLLARS PER DAY ON AVERAGE. The same study showed that the average woman in America puts on SIXTEEN products before leaving the house. Sixteen different lotions, potions, and powders containing all kinds of chemicals and costing you an average of $8/day over your lifetime slathered all over your face. Every day. Cleaner, soap, toner, foundation, bronzer, blush, highlighter, lotion, concealer, acne cream, eye shadow, eye liner, lip liner, lipstick, lip balm, moisturizer, mascara… And that’s just your face, don’t get me started on the rest of the body! I have never been a big fan of makeup or beauty products in general, and the more I learn about them the more thankful I am. These products are terrible for the environment with their aerosols and propellants and literal tons of waste generated per year. They are terrible for your long-term skin and organ health and endocrine system, containing things like petroleum, mercury, pthalates, formaldehyde, paraphenylenediamine, and vague terms like “fragrance” which means who knows what. Check the labels on your shampoo, lipstick, or lotion. You might be surprised by how many ingredients there are, and how many you can’t pronounce. In better news, it is so awesome and wonderful and about. dang. time. that we are seeing things like the Body Image Movement, Dove’s “Every body is Beautiful” campaign, and Jessamyn Stanley’s “Every Body Yoga” empowering people of all races and shapes to believe they are beautiful and capable. 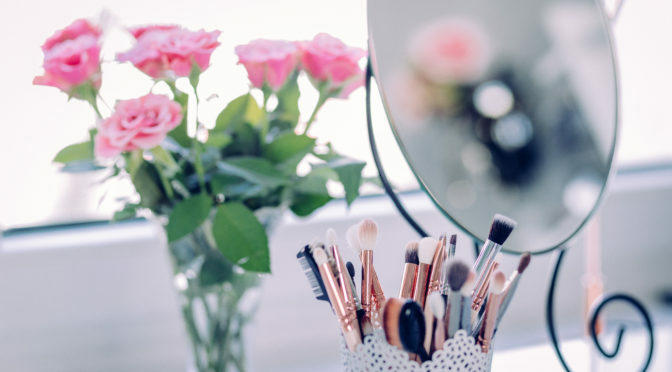 It is a beautiful thing to see initiatives like L’Oreal’s commitment to reducing waste by 60% by 2020, the EU outlining Good Sustainability Practices for the cosmetics industry, and waste management and reduction and sustainability becoming more of a priority to the beauty industry as a whole. You can do your part for the world, your health, and your wallet, by simply buying less stuff. By believing your natural beauty is all you need, you are taking a huge step towards reducing landfill waste, reducing the amount of toxins and chemicals in our water and air and your own body, and keeping dollars in your bank account rather than the industry’s pockets. But, girl, c’mon we still wanna look good! I know, I know, and honestly I do care a little. I don’t want to look like a neglected ragamuffin either. My solution? Use the most natural products I can, the majority of the time and as sparingly as possible. 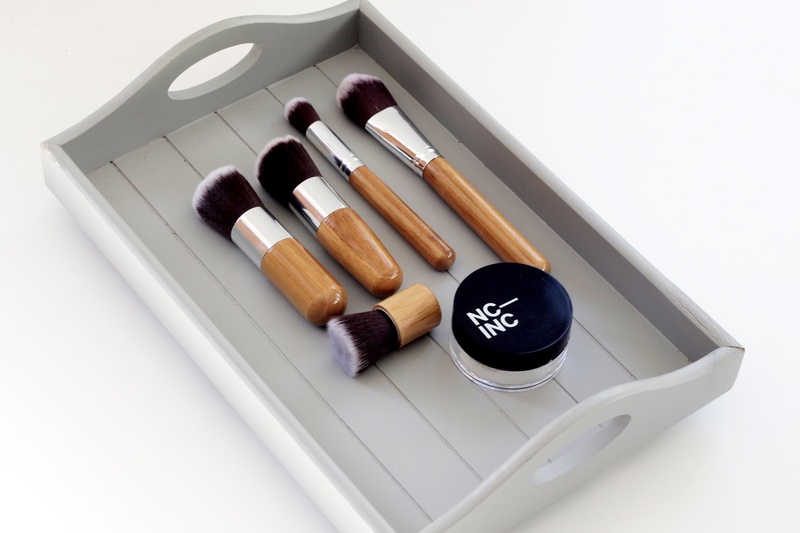 To DIY as much as possible, to re-use or use smart packaging and storage to get the most out of my products. And to maintain a generally healthy diet and regular exercise, with tons of water daily, to nourish my skin and body’s natural glow as long as possible! Below are my favorite beauty tips and tricks. Hopefully some will be useful to you too. Vaseline is great at keeping eyebrows in check. Just a tiny dab is all you need, swipe it along your brow from the middle of your forehead to the ends. It is also a wonderful lip balm to keep chapped lips at bay. Coconut oil is a great makeup remover. Just rub in a dollop, and wipe clean with a towel. You can use a q-tip for lips or eyes or small spaces. If you can’t handle the smell, try Vitamin E oil. Rather than use oily lipstick full of chemicals and petroleum, try beet juice! Use it from an open can of beets, or fresh by roasting some beets in the oven and rubbing the root on your lips. Same goes for rosy red cheeks, just blend gently afterwards. You can also give yourself a little color by rubbing or pinching your cheeks, or biting your lips a little bit. This gets the blood flowing to the surface, but is short lived. Useful for pictures or when you are about to meet someone for the first time. Use toilet seat covers to absorb face oil. Why pay for packs of face blotters when you can snag a few for free?? Make your own totally natural, delicious smelling powdered foundation using ingredients from your kitchen! My favorite hair tip is to plan for a 2-day-‘do; this only works for medium-long hair. Shower as usual, and let your hair dry halfway. Then, braid into two French braids. Wear that style all day, and enjoy having your hair out of your face. Sleep in it too. The next day, undo the braids, and tussle. You can add a bit of mousse, hairspray, or gel if you need it. Then enjoy your second-day waves! Use coconut oil as a treatment for dry scalp or excess frizz. Coconut oil is super hydrating. All you need to do is massage 1-2 tbsp into your hair from tips to top and let sit 5-10 minutes. Then shampoo & wash as normal. Tame oily second-day-hair with baby powder or cornstarch. It works pretty much like dry shampoo, by soaking up excess oil near your scalp, leaving you looking fresh. Plain apple cider vinegar is a great rinse for your hair. It can help restore the pH balance of your scalp, and remove product buildup, perfect for after a big event like a prom or wedding, that requires a can of hair spray to keep your do in place. (Not that you should do that in the first place…) Use 1/4 cup cider to 2 cups water. Herbal hair rinses claim a whole host of benefits. Just google it, you’ll see. Try making a nice cup of plain herbal tea, and rinsing your scalp with it, to see what works for you. Apply a bottom or clear coat. Apply 1 coat of your color. Wait patiently 15-20 minutes, read a book or watch some Netflix. If you touch it and it is not tacky and is fully dry, you’re ready for step 3. Apply a second coat if it is a thin color, or apply top coat. Optional if you did 2 coats, now apply top coat. Done. Enjoy your fabulous, frugal nails! If you run out of nail polish, or just want to create a custom color, you can mix eye shadow crumbles with clear top coat! A great use for broken or almost-used-up palettes. Don’t shake polish, that creates bubbles. Instead, roll it rapidly between your hands to mix it up. Put vaseline around your cuticles before painting. Then you can just wipe off any paint outside the lines! Use tape or a rubber band for perfect French tips. Just make sure the bottom coat is dry first. Make your polish last longer: If your polish is dried out or too thick to use, add a few drops of polish remover and roll it around to loosen it up. Look for a Groupon. Maybe there’s a new salon opening nearby that needs new customers and is offering half off. You can also try calling the place offering the Groupon, and asking if you can get the Groupon price in the store. They have to pay almost half in order for Groupon to run their special, so they may be more than happy to make you that deal and keep the whole profit! Win-win. Ask a friend, or multiple friends! Have a spa day where you do each other’s nails, put on face masks* (see below) pop some corn and watch a girly film. Everyone will leave feeling pampered and loved and looking fine. Never buy shaving cream again! Any old conditioner works just fine, I promise. Buy an 89 cent bottle, or a bigger container of your normal conditioner (props for more savings by buying in bulk!) and rub a dollop on your wet leg. You can do the same thing with (you guessed it) all-purpose coconut oil. *Create a hydrating face mask at home: mix 1/4 cup plain yogurt, 2 tbsp honey, and 1 small mashed banana. Smooth all over and leave on face for about 20 minutes, then rinse off. The honey is an antiseptic to help clear or prevent acne, the yogurt is a great hydrator, and the banana helps smooth and tighten your skin. If you are afraid to go totally “naked”, just try dropping or changing one product in your routine per week. Eventually, you may realize you never needed that second layer of cover-up, or hated the smell of toner or the cakey feel of eyeshadow anyway! 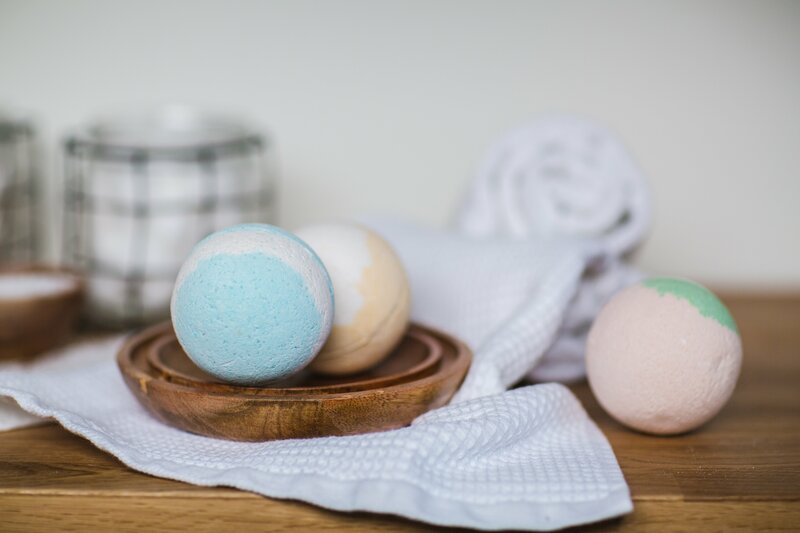 Plus, as you wean yourself off of products, you may notice your skin is even healthier, as it has fewer things to smother it and fewer chemicals to absorb. And don’t forget to drink WATER! Keep a reuseable bottle or cup at your desk, in your purse or backpack, in your car, in your refrigerator. Wherever you are going to remember to keep on drinking it all day long. The best beauty weapon in your arsenal is your smile! Look in the mirror, every day, and smile. We only get one body to live in, we should love and take care of it. Be kind to yourself, and to others, and let your naturally beauty shine, inside and out. Do you guys have any great frugal beauty tips?